He covered the trial of the Vickers-Armstrong engineers in Moscow in 1933, and was offered the job of Reuter’s assistant general manager in the Far East. He decided instead to seek his fortune in the City, an attempt which he continued, without much success, first as a banker, then as a stockbroker, until he joined the Navy in 1939. As personal assistant to the Director of Naval Intelligence. he found the war “intensely exciting“. When it was over, Lord Kemsley offered him the foreign manager- ship of Kemsley (now Thomson) news- papers. 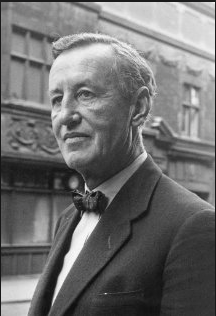 Fleming accepted on condition that he could have two months’ holiday a year to spend at his house, Goldeneye, in Jamaica, where subsequently he did most of his writing, If his war experiences and his postwar job provided the background for his thrillkrs, Fleming maintained that it was his marriage to Anne Viscountess Rothermere in 1952 which spurred him to start writing. I was in the process of getting married ” he said, “which is a very painful thing to do at the age of 44; so to take my mind off the whole business, I sat down and wrote a novel. The novel was a spy story. Casino Royale (1953). remotely derived from a real case in the history of Soviet espionage activities in France: it intro- duced the handsome, ruthless British agent, James Bond (” 007-licensed to kill “). and the various elements-a gambling scene, a torture scene, physical luxury and know- ingness about the world’s ways-which were to become the halmarks of Fleming’s style. It was well received and he soon followed it with other James Bond adventures. Live and Let Die (1954), Moonraker (1955) and Diamonds Are Forever (1956). I wanted to show a hero without any characteristics, who was simply the blunt instrument in the hands of the government, Then he started eating a number of meals and dressing in a certain way so that he became encrusted with characteristics much against my will. . Apart from the fact that be wears the same clothes that I wear, he and I really have very little in common. I do rather envy him his blondes and his efficiency, but I can’t say I much like the chap. 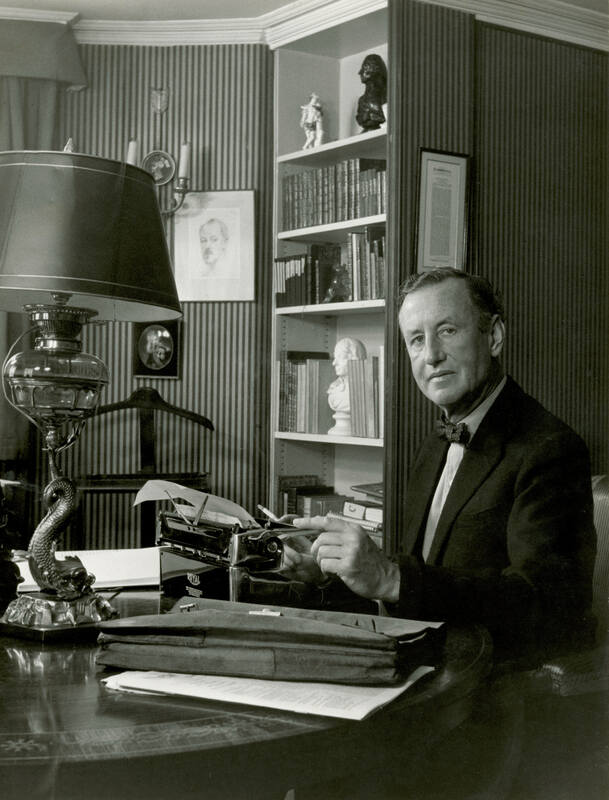 In 1959 Fleming left regular newspaper work to devote himself to his books and the management of what had becomc a very valuable literary property. By now there was already a slight flagging in his style, a tendency to repeat his effects. In The Spy Who Loved Me (1962) he tried the bizarre experiment of telling a James Bond story through the eyes of the heroine. He knew it was a failure, and the next book, on Her Majesty’s Secret Service (1963), reverted to normal: but, like Holmes after the Reichenbach Falls, Bond never seemed quite the same man again. You Only Live Twice (1964) provoked discussion, not because it was shocking, but because it was not: two-thirds of it was mere travel writing about Japan. Fleming was finding the process of invention increasingly difficult. The snowball of success, bowever, con- tinued quite unchecked. Each book headed the best-seller list for weeks. Paper- back editions proliferated: James Bond was imitated and parodied. President Kennedy and Mr. Allen Dulles were numbered among his admirers. The fame and Profitability of the books were snectacularly enhanced by a triumphant film debut. With Mr. Sean Connery as Bond. Dr. No maintained a delicate balance, hovering on the edge of farce: its successor, From Russia With Love was outstandingly successful: a third, Goldfinger, will be released shortly. In March of this year, Fleming struck a unique and ingenious bargain, under which he sold 51 per cent of all his future royalties, excluding film rights, to Booker Brothers, the sugar and inveRtment company, for ?100,000. Fleming had completed, and was revising, a now novel, The Man With the Golden Gun, set in the West Indies, and there are several Jamnes Bond short stories which have not yet been published in book form. He had one son.